Whilst English Nature and Scottish Natural Heritage spend large amounts of time and money swithering over the reintroduction of Eurasian Beavers (Castor fiber) to the UK, no-one seems to have bothered to tell the animals themselves that they’re supposed to be a tightly controlled experiment that can be eradicated at any time. The ‘formal’ Scottish reintroduction trial in Knapdale forest has resulted in a small but reasonably stable population with little disruption and some benefit demonstrated to the local habitat and water courses – Eurasian Beavers don’t engineer their environment on anything like the grand scale of their American cousins. That modest trial however has been thoroughly eclipsed by the success of the ‘informal’ reintroductions on Tayside, where the total population is well into the hundreds. Whether this is the result of accidental escapes or the actions of guerilla ‘Beaver Bombers’, the wild population is expanding and spreading. They’ve been well established for some time to the east of Comrie and Killin but there are now reports of beaverish activity on Auchlyne Estate in Glen Dochart. There is also a video on YouTube that shows a beaver, purportedly in Garbh Uisge, south of Loch Lubnaig, as well as notes of gnawed trees as far afield as Kippen. So it’s almost certainly only a matter of time before we start seeing them cruising the waters of Lochs Earn, Voil, Doine and Lubnaig. Which would be a fine thing and most welcome: the trial showed that they tend to stick to the loch areas, don’t do much in the way of damming except where the water is slow moving and less than a metre or so deep and rarely block rivers and burns – the Knapdale trial showed little evidence of this although there have been some issues in the River Earn. Where they do dam, other than raised water in the immediate vicinity, their role is largely beneficial, in that they help regulate and migitate sudden changes in water level – probably not enough to make much of a difference to the regular submergence of the Anie straight or the Meadows car park though, but every little helps. Where they can make a difference is to lochside vegetation – in much of our area, given the lack of active management of the lochside in the last 30-40 years, they may well help clear some of the scrubby young growth trees (their preference is for willows and hazel of around 3.5cm in diameter) and, with a little active collaboration from the human population, encourage a better and more diverse succession. And, if SNH were to switch its emphasis from controlled reintroductions to monitoring and supporting the health and genetic diversity of the extant populations, I’m sure the beavers would then happily get on with doing the rest themselves. 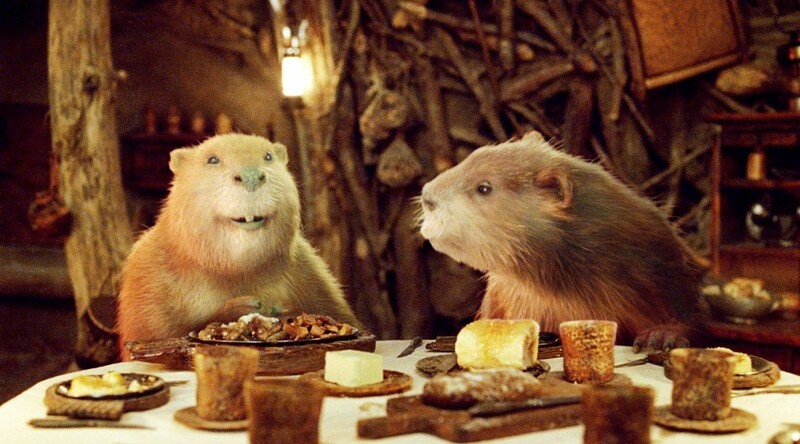 I for one welcome the arrival of our new Beaver overlords. All we now need is for re-wilding to go the whole hog (them too) with the re-introduction of our formerly native Lynx, Wolves and Bears. Which could solve the problems of overpopulation by Red Deer and wild-camping Neds at a stroke.